Parking lots and classes are bit more crowded at the University of Cincinnati Clermont College this fall, thanks to a fall enrollment of 3,017 — the highest number the campus has seen in years. The college also saw an increase in the number of full-time students and in the percentage of freshmen applicants who chose to enroll in classes this semester compared to fall 2017. 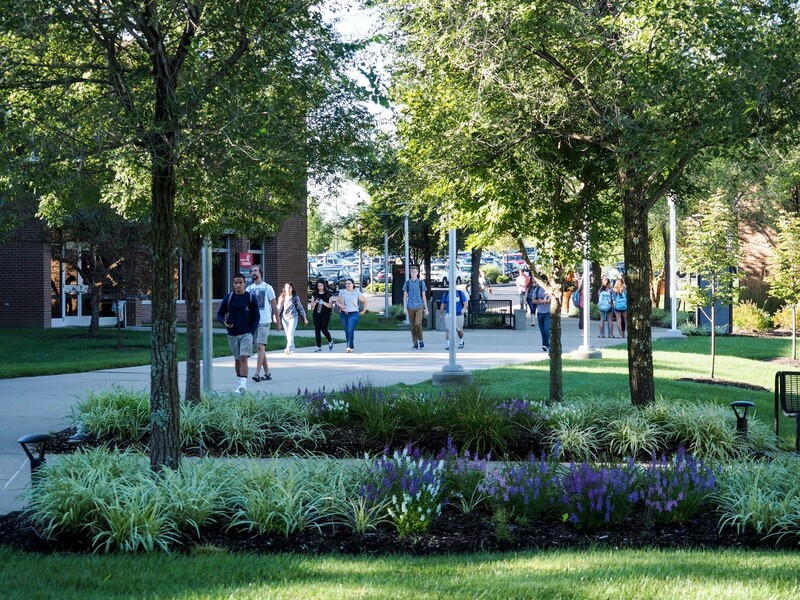 The number of College Credit Plus students, an Ohio program that enables high school students to enroll in college courses for dual high school and college credit, is up by more than 25 percent over last year. UC Clermont has seen a 45-percent increase in CCP enrollment over the last four years. The fall 2018 freshman class, numbering 1,788, represents a 13-percent increase over the freshman class of fall 2017. Bauer attributes the higher enrollment in part to the college’s greater emphasis on marketing, recruitment and retention. A more engaging freshmen orientation — dubbed Experience UC Clermont — was launched in 2017, helping students learn to navigate the tools they need to enroll in classes and begin their academic journeys. UC Clermont has also added new academic programs, with the focus on offering distance-learning courses that allow busy students to study anytime, anywhere, on their own schedules. New associate degrees in accounting and cancer registry management are completely online, while the college’s Bachelor of Technical and Applied Studies degree offers the bulk of its courses online too. The bachelor’s degree has also added a track in manufacturing engineering. Additional baccalaureate degree offerings, and more online options, are planned for the future.